Don’t miss this Houston outdoor social club’s monthly meeting for epic adventurers! 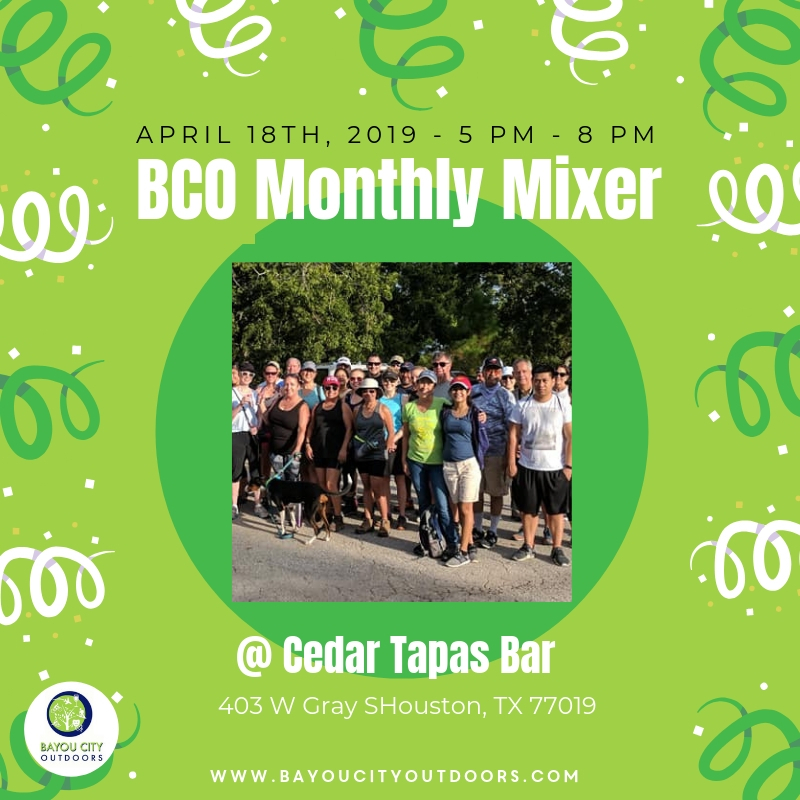 This month, BCO’s monthly mixer will be hosted at Cedar Tapas Bar! Cedar Tapas Bar is a cool Mediterranean restaurant featuring Lebanese inspired tapas and other menu items inspired by the owner’s annual trips to Spain, Greece and Turkey. Cedar Tapas does an excellent job of fusing traditional with contemporary featuring a great atmosphere and food that looks as pleasing as it tastes. BCO loves this new Montrose addition! What better way to wrap up the week and head into the weekend then with good friends at a cool little spot. We know Thursday’s technically a work night, but one thing we’ve learned is that the weekend can start before Friday and definitely should when you have good friends to hangout with! This BCO mixer is open to everyone! Bring your friends and come early, drop in or stay until close, but whatever you do – join us! You'll get the inside scoop on upcoming events.